Google Play Music just got a new update today that adds quite a number of improvements to the app for Android. Not the least of which is an update to now support Gapless Playback, which means there won't be anymore delays between songs, although for that sweet new feature, you'll have to be running Android 4.1+. In addition to Gapless Playback support, Google Play Music has added a number of improvements for both playlists and offline music storage. Users can now store Thumbs Up, Last Added, and Free and Purchased playlists on their devices, so you have access to more tracks while you're offline. There are also generic "Improvements for keeping music on your device for offline playback", but it's unclear exactly what that means. As far as playlists, the app will now automatically generate mixes based on your favorite songs, and that can be found in the Recent tab. If you want to give it a try, just head over to the Google Play Store to download the app. Unless they add a option to manage the playing queue, I'm not interested on Google Play Music. In simplest terms, gapless playback is where the music continuously plays instead of stopping for a few seconds until the next track plays. I wondered the same thing. Isn't there a feature in music players on the computer to add "gaps" between songs? I think it's called crossfading?... I'm confused. Seems like a no brainer that should have been included a long time ago. Well, WP8 still doesn't have it... even after boasting their "XBOX MUSIC"
About time. I like google and the play store generally but the music player is so aweful. it needs alot of work. right now its just a huge bunch of wasted potential. 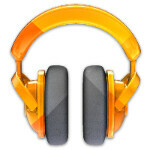 Samsung Music Player (the default one) or Google Play Music?